It seems that often, there are two types of people when it comes to weddings. There are those couples who want a private, intimate affair – sometimes the kind of ceremony when only the immediate family are in attendance, or maybe no actual guests at all. Then, there are those couples who long for a big, flashy wedding, with lots of friends and family around to see them say the words ‘I do’. If you fall into the latter category, you probably see your wedding as just as much about your loved ones as you do about your partner. After all, it’s a chance for everyone to come together and enjoy a great big party, and the opportunity to catch up with people they maybe haven’t seen for a while. But a large majority of your guests will probably have been to many weddings before yours – so what can you do to make your big day stand out among your guests? Okay, so themed weddings either make you jump for joy or make you cringe until you can cringe no more. But whatever camp you sit in, there is always a way to tie a theme into your wedding day in a way that suits you. It is a great way to grab your guest’s attention and from the outset you know it will be a wedding to remember. You can go as full on or as subtle as you like depending on your own personal tastes. For example, if you are a huge lover of Disney but don’t want your wedding day to be taken over by princesses, fairies and flying elephants, you can inject your theme in a more muted manner. This could be by wearing some Disney inspired jewelry, or even naming your tables after famous films. Wedding catering is notorious for being typically poor – but many highbrow companies have seen this gap in the market and have seized it with both hands. 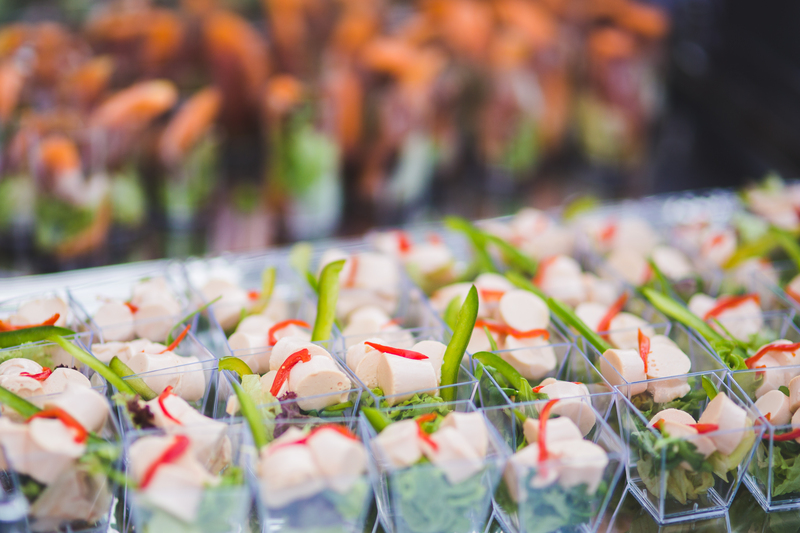 Browse the market to find reputable catering services for events and weddings that may be able to help you feed the masses on your big day. Weddings are very long days in themselves, especially for your guests that attend both the ceremony and the reception – so make sure you have some good food and drink on offer to help replenish them! They say it’s not about where you are, it’s who you’re with. While this is certainly true for many occasions, on your wedding day, it’s only natural to want to have a great venue at your disposal. Obviously, most people are limited in where exactly they can pick for their wedding as location is usually the prime factor. But, as venues are typically the most expensive part of the wedding package, you need to make sure you get it right. Stately homes and castles are pricey but provide a stunning backdrop to your special day – or why not go quirky by getting married on a boat or outdoors? Your wedding ring is important. It is a symbol of the love and commitment you and your husband have for each other. You love is unique, and your wedding ring should be too. More couples than ever before are choosing to create their own wedding rings, rather than simply picking out something generic, which could be seen on the fingers of countless couples, from the store. The most important thing to remember when designing your own wedding ring is to keep calm. So many brides add to their already ample stress levels by worrying about their ability to create an attractive ring, but what they forget is that there are professionals who will help them create the ring – they are not alone in the process and neither will you be! If you do not come from a design background, then it stands to reason that you won’t be able to pluck a beautiful ring design out of thin air. You will need to look for inspiration. Luckily, inspiration is everywhere. It can be found in the shapes of nature, the jewellery of famous designers and on websites like Pinterest, which aggregates thousands of design pictures for you to peruse at your leisure or https://antwerpdiamonds.direct/ where you can find fabulous lose diamonds to use in your wedding ring designs. Just because you are planning to design your own wedding band, does not mean that you can’t try a whole bunch on. Looking at pictures and inspiration boards will only get you so far, you need to try the ring on for style to see if you really truly love a particular design, whether that be retro or minimalist, to see if you really love it. Finding a bespoke wedding ring designer who you click with and who listens to your ideas is a vital part of the process. Unfortunately, you will not get on with every ring designer, and some will specialise in certain styles that you are not interested in, so you need to do your homework and check out the portfolios of multiple designers before you settle on the one for you. When you do find the right designer for you, it is imperative that you check the small print on any contract before you sign it because many designers will require various amounts of money at various times, whether in the form of deposits or final payments. Once you start the process, it is almost impossible to back out without losing money, so you need to be absolutely certain of what you are doing. Another thing you will want to consider before designing your own wedding ring is the cost of doing so. When you’re creating your own design, costs can quickly spiral out of control, so you would do well to let your designer know that you have a firm budget in mind, which cannot under any circumstances be exceeded if you want to stick to your wedding budget. There is nothing wrong with being interested in the latest trends, but when it comes to wedding rings, do you really want to be a slave to them? After all, your wedding ring is going to be on your finger for the rest of your life, so choosing something which is classic, but which also speaks to your individual style is a much better idea than choosing a piece which is currently in fashion, but may not be quite so pleasing as you grow older. That being said, there is absolutely nothing wrong with using a design that most people would find strange, but which has personal meaning to you. For example, if you and your hubby to be have a special song, don’t be afraid to engrave the lyrics onto your ring. Some people have been known to have their favourite film quotes, scientific formulas and even Klingon messages on their wedding rings! Whether you’re opting for a classic diamond or another stone, it is important that you are able to recognise the quality of stones. Stones can differ immensely in price depending on their condition, colour and appearance, with a very clear diamond costing several times as much as one with even a slight impurity, but as long as you know your stones, you will not be in danger of getting ripped off. While we’re talking about stones, don’t be afraid to choose something a bit different, if you adore opals or have a passion for sapphires, don’t shy away from including them in your design just because it’s not traditional. Of course, your wedding ring is likely to be made up of more metal than stone, which is why you should also get to know your precious metals. Sometimes, metals can cost more not because they look better or are more precious, but because they are heavier, and knowing this, for example, can help you to save money in the best possible way. When you are having anything custom designed, you need to leave plenty of time before the date it is needed, not only because creating a ring from scratch takes time, but also because things can and do go wrong, and there so no guarantee that a ring will be ready on the day you need it. So, aim to leave at least eight weeks between your first design appointment and your wedding day, but ideally, you should be looking to have your ring created as soon as you start planning the wedding seriously to avoid any hiccups. If you take note of these tips, put in some time to understanding the design process and the logistics of wedding rings, and you pour your heart and soul into creating something you will treasure forever, there is no way that you will ever be disappointed by your wedding ring. The one thing that trips up most brides is the details. You can gather your bridesmaids and groomsmen together to help you plan a wedding day but every single bride in the world will always panic that she has forgotten one of the details of her wedding day. It’s like that dream where you’re standing naked in front of everyone you know; you don’t want it to happen and it’s embarrassing if it does! Forgetting wedding details doesn’t have to be a huge deal as long as the detail you forget isn’t one of the big ones. For most, being organised is key and the biggest day of your life should be meticulously planned. If you are able to you should absolutely hire a wedding planning service that can be on hand to help you out and make sure you stay calm. Otherwise, get a notepad and pen, you have a list to write! Outfits: Quite an obvious one but you should be very clear to your groom about colours and styles you want on your wedding day. While you’re thinking of your wedding dress, you need to remember your wedding night lingerie, your shoes and a bag to hold your phone and other bits in. it’s not always all about the dress – the details count! Venue: Planning your venue is fun but remember to check exactly what comes in the package you get for your chosen place. You want to make sure you’re getting good value for your money so find out whether costs include table and chair covers, the cake knife and stand and a DJ. These details may sound trivial but when it comes to your wedding day, you cannot forget these! Food: Have you checked whether any of your guests are vegetarian? Sometimes, trying to cater for different tastes and diets is a little too hard but if you’ve ordered finger food catering from Diamond Blue Catering or other such companies, you would be able to order a variety of food that is set for every taste. Invitations: While you may have remembered the invites, have you included absolutely everything in them? Have you given your technologically-challenged guests a phone number or postal address to respond to in case email isn’t their thing? Have you included the time of the service if you are having a church ceremony? The smallest details can really throw off your guests and if you are choosing to get married in an obscure location, make sure you spend time making up maps to send to each guest. The smallest details can really derail a wedding but as long as you’ve made lists, mind maps and you’ve asked, asked and asked again, you should hopefully have every detail fulfilled far enough in advance that you can fix any last-minute mistakes with the minimum of stress. 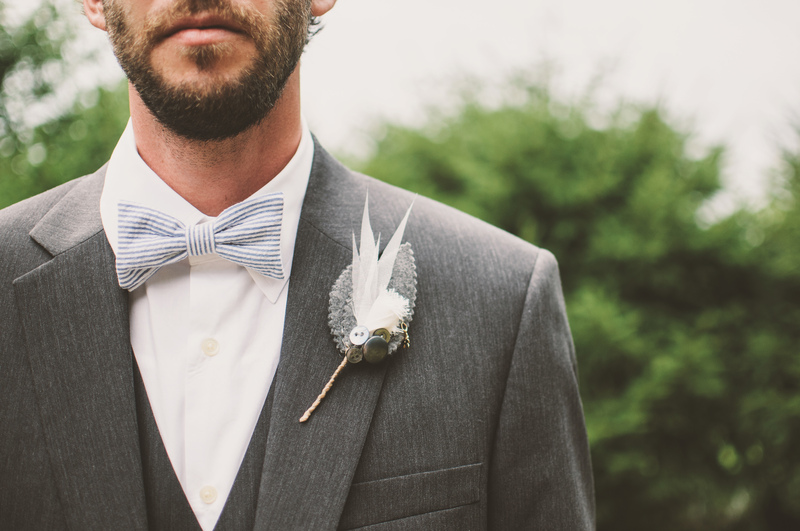 Getting hitched should go off without a hitch and you should know how every second should go. Go and get married; you’re ready! Brides generally come with an entourage of people in the lead up to the big day. Whether you are newly engaged, in the middle of prepping your wedding, or on the cusp of the biggest day of your life, you have very likely got a flock of people around you at your beck and call. That’s not to say you’ve turned into a demanding Bridezilla, ripping people to shreds with a mere cut of the eye. It’s just that friends, sisters, cousins, aunts, your soon to be mother in law, your mum…all these people PLUS hairdressers and make-up artists will be hovering round you and waiting for instruction. The most important person in that entourage is your mum. She’s been there from your first breath, first steps and first words. It’s only fitting that she should be there by your side to see you take the next set of first steps in your life: as a bride. All the attention can get a little overwhelming, so take some time to step back and look at the big picture. Look at the women in your life who have come together from two families to make your day beautiful. Think about how you can honour what they’ve done for you. Perhaps your mum has been your automatic wedding planner, helping you write lists and making plans across a calendar so the timing is prompt and efficient. Perhaps she actually paid out for an actual band of Luxury Wedding Planners to take the stress out of your hands for your day. So how can you honour your mum on your wedding day? The day may be about you, but without her you wouldn’t be standing where you are now. Get traditional on the day. If there’s a necklace, piece of precious jewellery or even a tradition that your mother hopes you could do for your wedding day, honour it. Wear the jewellery with pride and make it your ‘something borrowed’. Get giggling! Prepare your wedding favours together, arrange freshly cut wildflowers together, take a calligraphy class to write place cards together. Any wedding job can have a fun injection just by sitting and being together. Let your photographer know that there has to be a few photos of your mum and you together without anyone else in the picture. This woman brought you into the world and taught you how to do everything you know how to do now. Cherish that in print. A special gift goes a long way. An embroidered handkerchief with a poem describing your love for your mother is a keepsake gift as well as a place to capture the tears. Weddings are emotional ceremonies. It’s your day and about you as the bride, but don’t forget where you came from and how you got to where you are now. Even if your relationship isn’t the best friendship in the world, you can still include and be grateful for the mother you have by your side on your wedding day. Your wedding should be, in theory, the happiest day of your life. Well, at least one of the top five. There are the days your kids are born, if you have them. There is your first paycheck. And then there’s the day you realize you paid the store clerk with a single and they gave you change for a ten. Those are all pretty sweet, also. But I digress. It should be the happiest day of your life, but the thing about a wedding is this. Although it has two leading characters, there is a sizeable supporting cast. While the two of you may give virtuoso performances, there’s always the risk of some scene-stealing further down the card. It may be for the best of reasons – a giggling fit during the vows, a funny best man speech or the priest catching the bouquet. It may also be because of a spectacular tantrum pulling focus from the happy couple. How do you avoid the lesser-known wedding day disaster – the Bridesmaidzilla? As noted before, you do need to be decisive when picking bridesmaids for a wedding. It’s the bridesmaid’s choice in the end, and you have to pick who you’re happy with. That said, if there is a chance of one bridesmaid being miserable because her sister couldn’t be one, think. Does it make a huge difference to have five instead of four? That’s why sites like alanavivi.com are so useful. 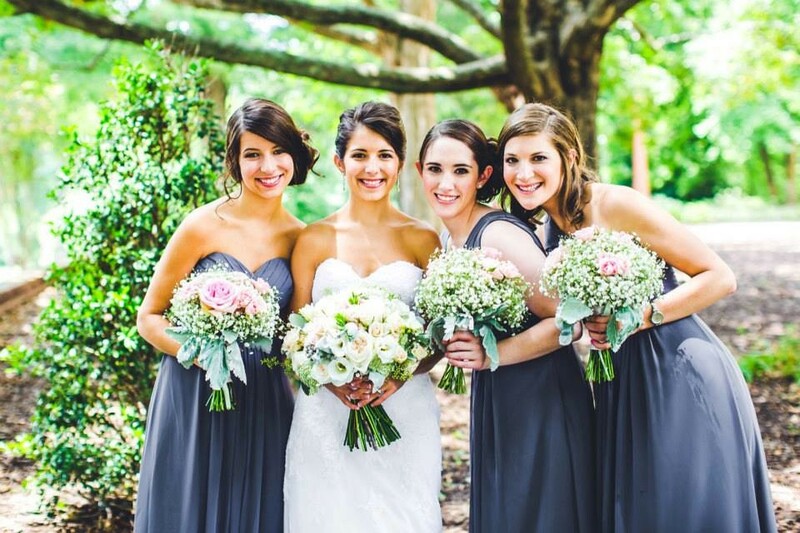 You can decide on a color theme, but allow each bridesmaid to choose their cut and style. No need to play the percentages, everyone can look drop dead gorgeous. Just a bit less so than the bride, of course. The bridesmaids at any wedding should usually be the best friends of the bride herself. The best, best friend will be the head bridesmaid or maid of honor. However, do you know who your best friend is? Do they? And more to the point, do those who are not your best, best friend know that? This is something that requires clarity early on. It may be worth making the decision that you won’t be having a maid of honor at all. Should the decision be questioned, explain that they’re all bridesmaids because they mean the world to you. Putting one of them above the others would just be too difficult emotionally on such an important day. The one caveat to this is if you have been asked to play the part of maid of honor to one of your own party. In that case not returning the favor would look like a snub – and guess where that leads? If you grow up with a group of close friends, you’ll usually find that you all get married at roughly the same time. That’s because most people aren’t as unique and different as they’d hope. We do all follow a set path through life. So, on average, you’re probably going to get a proposal in your early twenties and be wed before you’re 25. The people you grew up with will be having their own weddings at the same time. This means that it’s difficult to ensure your wedding stands out from the rest and feels unique. But, we do have a few ideas that should make it easier to ensure your wedding feels original and fresh. One of the ways that you can make your wedding a little different is to change the seating. Traditionally, the seating at the ceremony is in lines, pointed towards the bride and groom. But there’s no reason why you can’t plan things a little differently. For instance, you can position the chairs so that they form a circle with you and your partner in the center. This will make your wedding feel and look unique. It will also lead to some stunning pictures if planned correctly. Make sure you ask your wedding planner about this possibility and don’t just settle for typical ideas. Alternatively, you may want to think a little bigger and instead make your wedding unique by choosing an unforgettable location. For instance, if you have a beach wedding in Hawaii you can get married on the sand, barefoot! How cool is that? The best part is that you’ve got an excuse that will allow you to only invite family and friends who you feel particularly close to. Anyone else won’t be able to come because the wedding will be too far away and possibly too expensive. Of course, Hawaii isn’t the only killer location for your wedding. You could also choose to have your wedding somewhere there is romance and thrills for all. For instance, a wedding in Italy could be a wonderful choice. 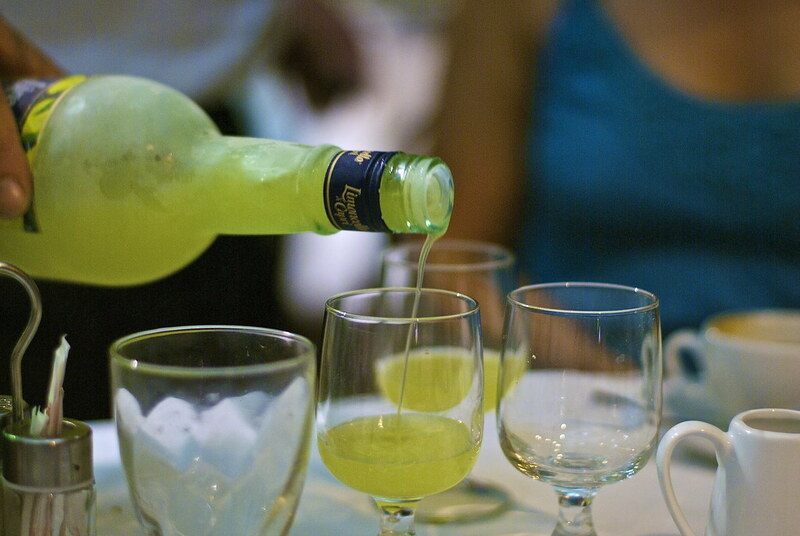 Particularly, if you adopt some of the italian wedding traditions. It will make your ceremony truly special. Once you’re married things change a little. Instead of sending out separate Christmas cards each year, you write them and send them out together. How about making sure that you have all the contact information you need? You can do this by encouraging guests to leave the address and contact details as part of the ceremony. Better yet, have an address book at the entrance where guests can write their details as well as a lovely little note on your wedding day. It’s a little spin on the classic guestbook often put out by the happy couple. Finally, at your reception, how about leaving little information cards about you and your partner on the tables for your guests. This will allow them to learn things that they never knew about you and it’s a fun little add on. Unlike some of the other ideas it won’t cost a fortune, but it will certainly create an impact. Your wedding will be the happiest day of your life to date, but planning isn’t always that fun. Weeks or months worth of hard work, all culminating in one day can be particularly high pressure. And it can feel like everything’s been done before. However much you strive for originality in your day, someone’s always got there first. But don’t give up – there are plenty of ways to inject a bit of your own personalities into your big day, even if it’s all been done before. Nobody else has pets like yours, so even if everyone in the world had their dog walk them down the aisle, or their pet pig as their ring bearer, it wouldn’t be the same every time. Animals bring their own fun (and risks) to the wedding day, but you won’t find another flower girl like it. Don’t opt for the traditional limo entry if you don’t think it’s you – add your own flair. If you’re a bit of a biker chick, enter in a sidecar. Animal lovers could come in on horseback, romantics in a horse-drawn carriage, and the thrill seekers could have the ultimate show stopper and enter by parachute. Your wedding day is the time for expressing yourself, so let your personality and interests shine through in your choice of vehicle. As is customary, make sure you have a gift list made public for guests to follow. An interactive one is a bonus, so you’re not inundated with duplicate presents. But feel free to express your personality within your gift choices – Nighthelper.com has some great gift options to get your imagination going. Which soon-to-be-married couple wouldn’t enjoy an evening cocktail making with professionals? Trying to concoct the perfect recipe for your signature drink is the perfect pre-wedding fun to take your minds off the stress, but offering a bespoke cocktail at your wedding is a really cute treat too. Make sure the name, flavors, and presentation is fun, quirky, and romantic. Many guests are stuck in the awkward position of having to leave early due to sleepy kids or to relieve babysitters at home. If you’re aware that you’re inviting a fair few parents, it can be a really thoughtful touch to hire a few qualified childminders to take care of people’s kids while they dance the night away, and the children get to have fun with the others too. The best way to make your wedding memorable is to include a surprise of some kind. 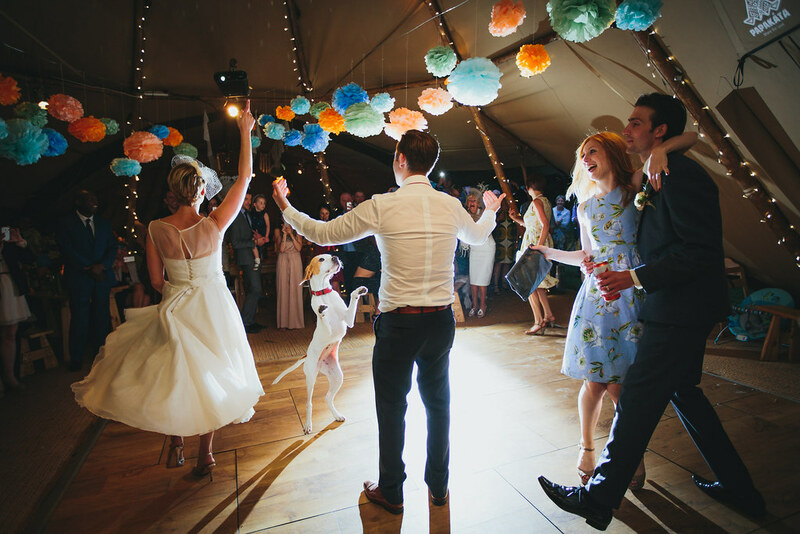 Whether it’s your pup as your flower girl or a choreographed dance routine to a surprise mariachi band as your first dance, people are certain never to forget it. Weddings can be really formulaic, but other than the legalities, there’s no reason you can’t shake it up and follow whatever schedule you like, as long as the focus is always the love that you and your future spouse share. As any soon-to-be-bride will know, there are hundreds of different components that make up the average wedding. When you are planning your big day, you will know how important it is to keep a handle on all of these, as hard as it can often be to do so. However, what you will soon realise is that some aspects of your big day are more important than others. Sure, it will be really nice if the chair covers and the table centrepieces are both in exactly the right shade of apricot. But, what really matters is that you have a great day spent with those you love, and some of these people will include your bridesmaids. The concept of bridesmaids dates back many thousands of years, although their role has obviously evolved since then. If ‘bridesmaids’ is the next thing to tick off your wedding to-do list, here are some things you need to know. If you are a bit of a social butterfly with a lot of pals, you may find it excruciatingly difficult to choose your bridesmaids from all your friends. But it is something that must be done. When picking how many you are going to have, consider a few things. Practically speaking, the size of the altar is one thing that could potentially affect the number of bridesmaids you have. Also remember to think about the size of your wedding party. If you and your fiance only have 30 guests between the pair of you, it may be a bit odd if 12 of those people are bridesmaids! You might need to be ruthless when it comes to who makes the cut, but think about who you truly want by your side when you finally say ‘I do’. Wedding planning can be stressful. One of the best ways we can blow off some steam is by throwing ourselves into the bachelorette party – arguably one of the most fun things about getting married! The bachelorette party planning is the responsibility of your bridesmaids, but a little guidance from you will never go amiss. For example, you might need to outline certain things, like price and what kind of activity you are comfortable with. Bachelorette parties are now up there with bachelor parties in terms of notoriety – so go wild if that’s what you fancy, but remember to tell your bridesmaids what kind of event you want. As weddings become more and more contemporary, the actual role of the bridesmaid has got somewhat lost in translation. Unfortunately for your bridesmaids, it isn’t just about drinking cocktails and getting to wear a pretty dress! You will find that in the run up to the wedding you may need to rely on your bridesmaids for emotional support, planning and just generally getting everything together for the big day. Once you have chosen your bridesmaids, sit down with them and tell them gently what you need from them. That way, you can all look forward to planning the wedding together – after all, who better to do it with than your best friends? Your wedding day is the most romantic day of your life, and it is also a day that demands a lot of preparation: From going on a fitness boot camp program to choosing where your guests will sit, there is a lot to think about. So much in fact, that it is easy to forget about what wedding means: A day of romance. What is more romantic than Romeo and Juliet’s love for each other? While you may want to leave treason and death at the end out of your special day – Shakespeare’s unforgettable love story didn’t care for a happy ending – you can still find some precious wedding inspiration in it, especially if you are considering an Italian themed wedding. Why Should You Choose Italy? The beautiful story of Romeo and Juliet plays in Verona, which is a city in northern Italy. It is not any city, though: They call it the City of Love. So, what best inspiration for a day of love than to give your vows in an environment that will remind your guests and yourself of Romeo and Juliet’s love? But, there is more to Italy than just Romeo and Juliet. Italy is a warm and sunny country that has a long history of romance, beauty and strong emotions that are embedded in its culture. This is the country of birth of the Renaissance, and this makes Italy a place that combines beauty and love under the sun. While you may not be able to set your wedding ceremony in Italy, you can certainly plan your honeymoon there. In the meantime, why not set the scene with an Italian décor for your big day? What Makes Your Décor Italian? As you are thinking about putting a bit of Italy into your wedding day, you need to consider a few elements to get things completely right. The perfect Italian Catering is at the heart of your celebration, as this will immediately give it a sunny side that your guests won’t forget. But why not go down the DIY route to add cute touches that will make all the differences, such as hand labeled bottles of olive oil on the tables, a small glass of limoncello liquor for your guests, and why not some scented candles with lavender, lemon, and rosemary to complete to picture? You can pick a location that focuses on simple stone and white washed walls décor, with a great view onto a garden or the sea. You can also add an extra touch of Italian romance with the creation of your own vows that could address the bride as Bellissima, for example. Also, you can just as well get a live Italian band to accompany you as you walk through the aisle. There are plenty of options to bring a sense of Italian lifestyle into your day and make it a unique discovery of romance and love for your guests and yourself.